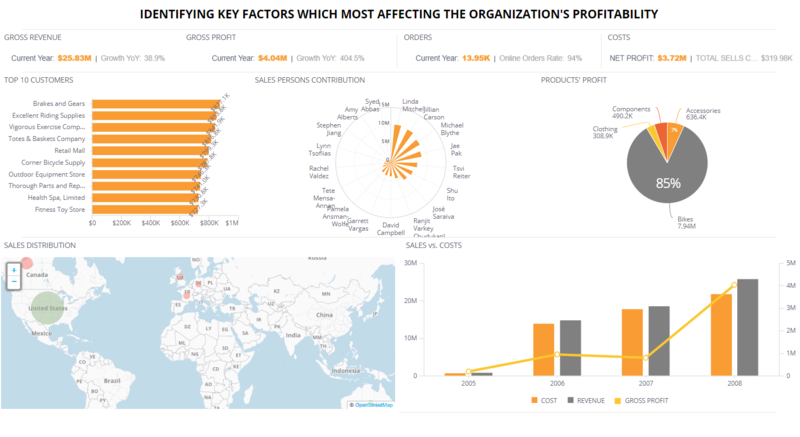 Answer key questions related to the most compelling retail concerns with ready-made retail analytics. This BI solution is meant to help a retail business improve its performance in terms of profitability, with a focus on distribution processes. Like any other business, the main objective of retailers is to achieve continuous improvement in that area. Other factors, such as back office management costs (inventory, procurement, production etc. ), shipping and product attributes are beyond the scope of this solution. 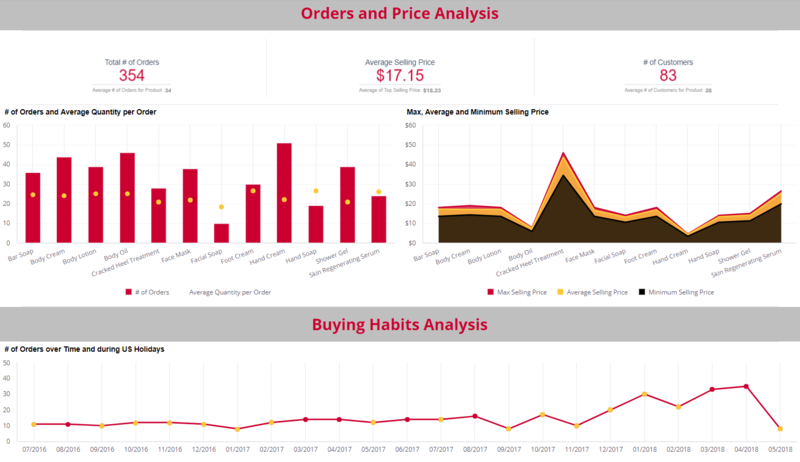 This retail analytics BI solution template contains 5 dashboards that will help you identify key factors that have the largest effect on profitability and improve sales force performance. 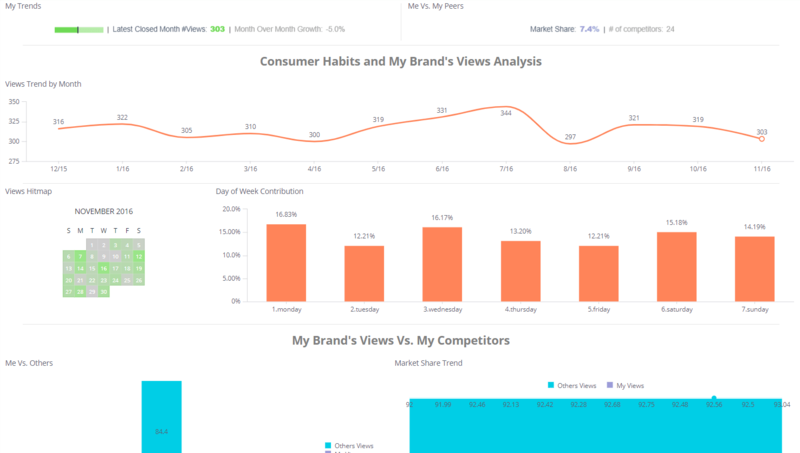 Use this interactive dashboard to see performance of different brands, profile buyer segments and understand the sales funnel. Identify the most profitable sub-regions and important buyer demographics. This use case pertains to an e-commerce website which allows its consumers to purchase items directly from an online store. With the data that is being gathered based on website interactions by online consumers, the brand managers can analyze their own data based on their products’ views and compare it to their competitors. The goal of this dashboard is to enable brands managers to improve viewers’ interactions with their products to eventually increase revenue. 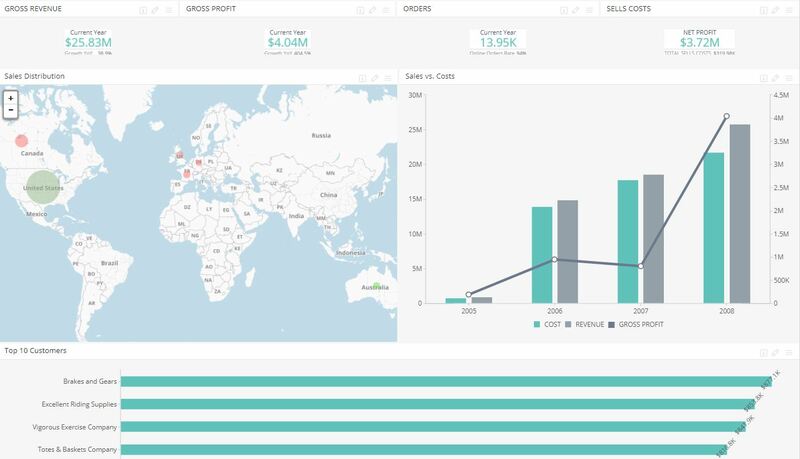 E-commerce companies can use E-commerce analytics reports and to see real-time insight into their business operations on a day-to-day or even hour-to-hour basis, opening possibilities for ongoing optimization.